At SAP TechEd Las Vegas 2018, we are hosting our half-day SAP Migration, invitation only, workshop on Monday, October 1, from 1pm-5pm at room Casanova 607. During the workshop, we will provide you with information on variety of tools and services to simplify and accelerate your SAP HANA migration. Our portfolio of tools, resources, and fast-track programs will support your ability to move from legacy technologies to a modern SAP software landscape. During this TechEd Special Interest Activity (SIA), you will receive guidance on best practices and tips-n-tricks from SAP & partners. Migration experts and architects will discuss how to best manage the migration of all applications from any platform to SAP HANA. 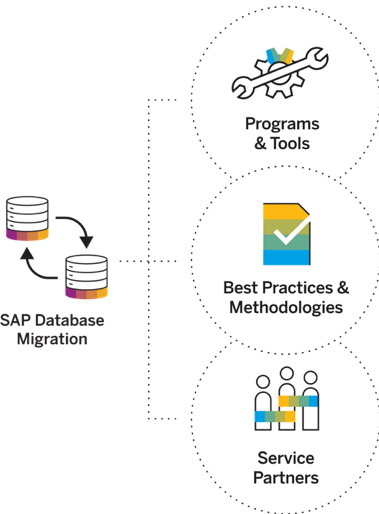 Learn more about programs such as SAP’s Database Migration Factory and how it can help to reduce effort, timeline, and cost for third-party database migrations to SAP HANA and SAP ASE. The SAP Database Migration Factory provides comprehensive migration support for database, application, and infrastructure and SAP and its partners share best practices, automation tools, and experiences. We have a packed agenda starting off with the current state of SAP HANA migration and findings from recent SAP Migration survey. You will hear from our key partners AWS, Capgemini, and Infosys how we can jointly provide you with the best migration approach for your company. You will hear first-hand from AWS and Thermo Fisher Scientific (TMO) how they are transforming inventory management from an on-premises database to SAP HANA on AWS to provide new “real-time” inventory management capabilities. Followed by Capgemini’s detailed overview on how to change the system landscape for SAP BW4HANA (Data Warehouse) to improve real-time reporting and performance. If you want to learn more about SAP’s Migration offerings stop by our Expert Bar in the Digital Platform – Database and Data Management area during regular showfloor hours. We are excited and look forward to seeing you at TechEd 2018! Check out our SAP Migration Webcast blog and our official website for more details.